Genetic Iris Analysis identifies the genetic constitutional make up of each fibre,structure, colour pattern and pigmentation in our eyes. The Iris Analysis provide a rich and detailed expression of our genetic behavioral and physical body patterns and how they express themselves in our daily lives. Genetic Iris Analysis can reveal genetic inherited tendencies,areas of toxic settlement, organ development,nervous tension, and inflammation based on embryonic DNA code. Stress sends a signal to the nervous system leaving marks on the nerve fibres in the eyes like the hours of a clock. We analyse the organs as they are reflected in the iris with a camera. This shows a road map of our genetic past, present and what we can make of our future. 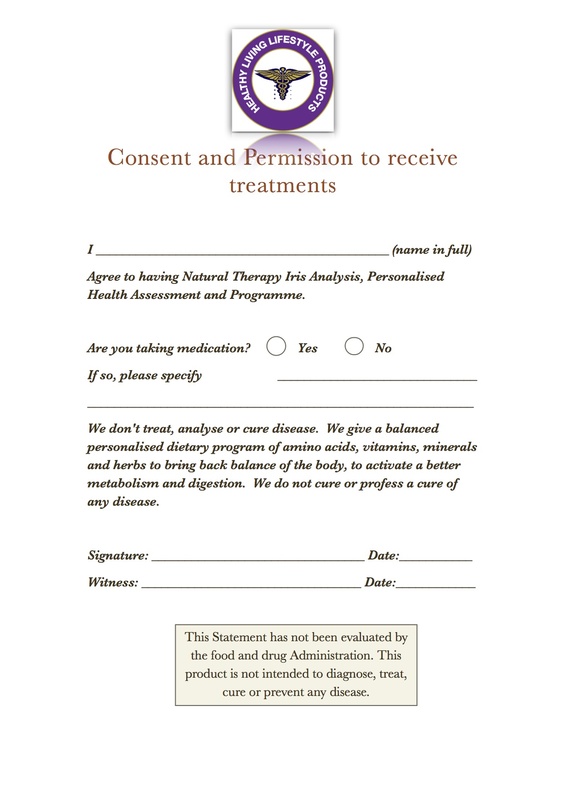 Download PDF Please Sign Consent and Permission Form before Appointment.